Students also play a prominent role in the conference, with an entire day dedicated exclusively to student presentations. WDA encourages student participation, sponsoring several conference travel grants and student awards including two scholarships, a research recognition travel award, a best student presentation award and a best student poster award. The mission of the WDA for the past 65 years has been to acquire, disseminate, and apply knowledge of the health and diseases of wild animals in relation to their biology, conservation, and interactions with humans and domestic animals. 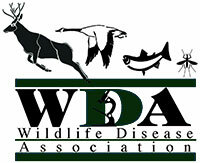 Visit our website for more information about the Wildlife Disease Association and instructions on how you can become a member. Follow the WDA on Facebook and Twitter to get the latest information from the association. Not a member of WDA? Join our conference mailing list. Logistics for this meeting are being organized by the University of Florida/IFAS Office of Conferences & Institutes (OCI). 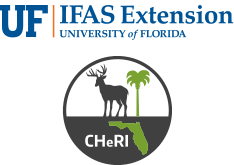 OCI is a full service conference planning division dedicated to assisting groups that support the IFAS mission "to develop knowledge in agriculture, natural resources, and the environment, and to make that knowledge accessible to sustain and enhance the quality of human life." Check out the OCI website to learn more about other events that may interest you.